I started this morning assembling this quilt at 10 am and finished at 9pm. It is now pressed and ready to go to a friend’s home to baste on her long arm. I will then free motion quilt it. This post will be short and sweet as I am pretty tired and need to go to bed so I can be up bright and early for work. Finished Size should be 72 x 72 inches a generous size throw quilt. LOOK WHAT IS COMING SOON….. These are the two quilts my daughter made for her girlfriends who are having babies this summer. She designed them herself after I taught her how to do a few simple techniques. She does pretty good and has improved a lot from the first quilt she made. She still does not sew a good quarter inch seam.. ..her blocks are usually off size but she square up her blocks and makes them fit. My big concern is her seams are often too small and I worry that they will fall apart. We have discussed it several times and I realize I just have to let it go … I am teaching her how to FMQ so I think someday she will realize for herself the importance of good workmanship and construction. 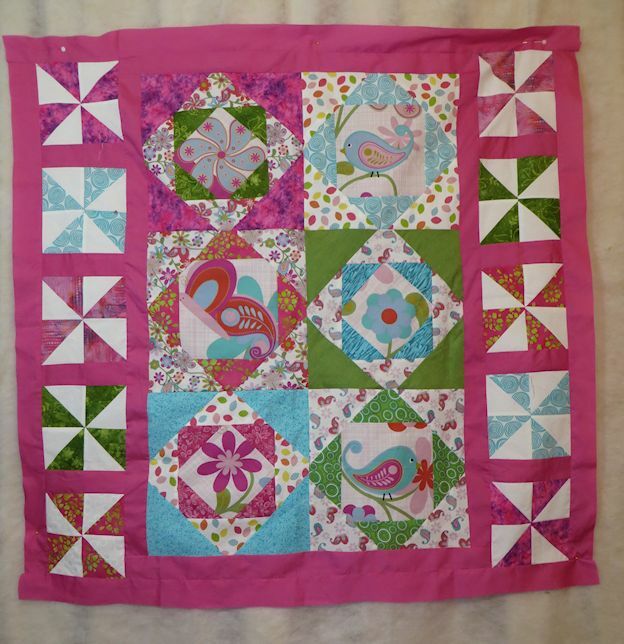 I do not want to turn into the quilt police or turn her off of quilting by being critical… I really love the designs she comes up with as they are truly hers and she loves to just play with fabric. I have been backing off and letting her work it out for herself but try and be available when she does need the help…. http://www.amazon.com/Quilting-Modern-Slant-Techniques-Inspiring/dp/1612120636 . 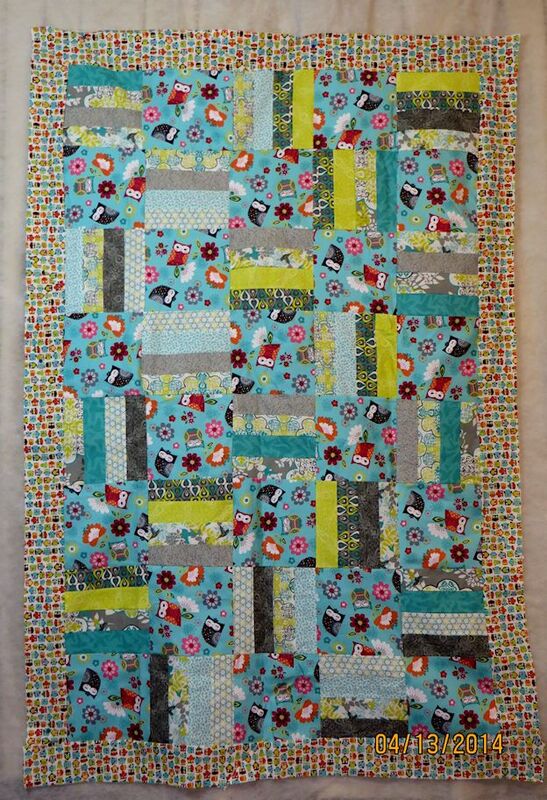 . . RACHEL MAY: Quilting with a Modern Slant . . . 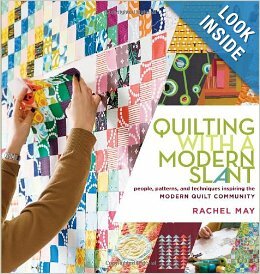 This book is by Rachel May is a founding member of the MODERN QUILT GUILD and a PhD candidate in English and cultural studies with a focus on quilts and narratives. She started this book as her graduate thesis then turned it into a book. 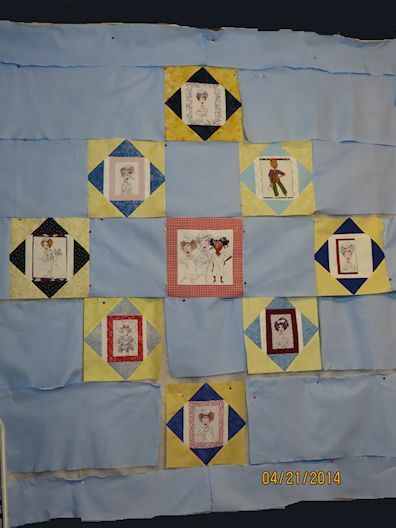 She features interviews with many of the new personalities ( as I call them QUILT DIVAS) discusses the on line quilting communities and blogs. 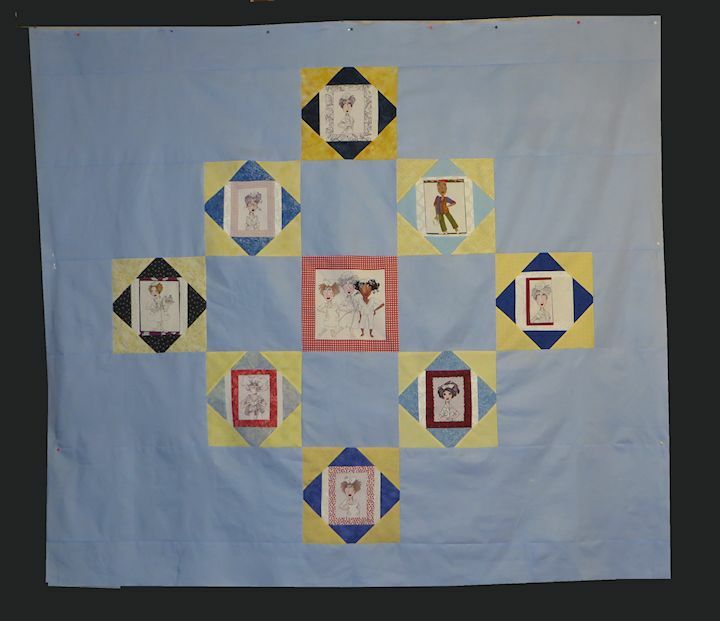 In the 224 pages, in this book, Ms May explores many aspects of the modern quilt movement. I have many quilt books exploring the history of traditional, folk quilting and art quilting but this is one of the first books that I have read delving into how the modern quilt movement started. I do appreciate how Ms. May pays homage to earlier quilt movements. This book includes some technique tutorials and a pattern or two from contributors to the book but this is not the main focus of the book. Ms May main focus is the on-line communication and blogs and the Modern Quilt community. As I read thru the book I google each of the bloggers listed and added them to my FEEDLY BLOG READER. I look forward to following them in the future. In GOODREADS I gave this book a 4 out of 5 stars review. I always revisit the rating after I have had the book several month to update my review. I do think that if you want to understand the MODERN QUILT MOVEMENT this is a good book to start with. I will also update this blog post when I update the review on GOODREADS. 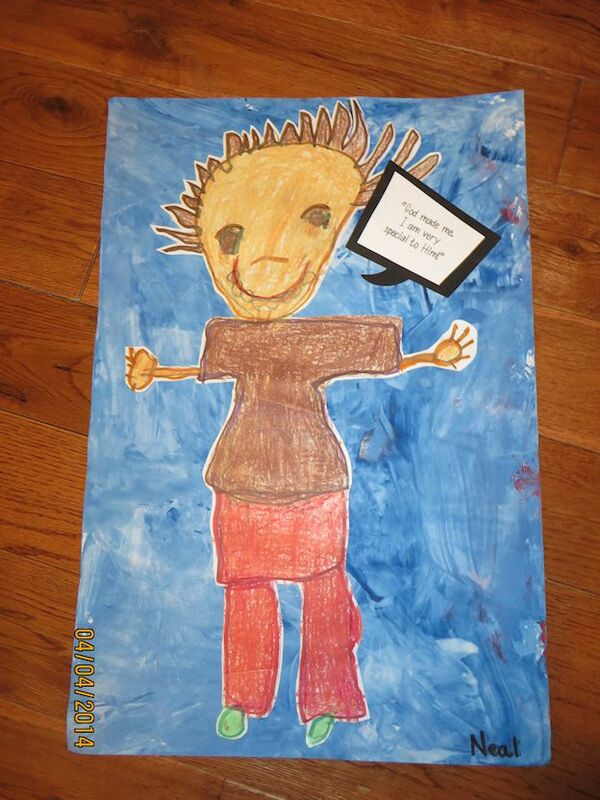 This is my grandson’s self portrait. He made it in is guided art class in kindergarten. I plan to use it in a quilt I will make for my grandson. I plan to replicate it as an applique, date and identification. I talk a little about it in an upcoming podcast. My sister calls NeeNee a budding Michael Angelo ! UP DATED PODCAST LIST… a couple of new sites too ! ! !